You eat healthy, drink plenty of water and try to exercise a few times a week. What about your foot health? Let's face it, we are all on our feet a good portion of the day. If you are not wearing "healthy" shoes, then your body is suffering. Strive's Biomechanical Footbed Technology™ matches the unique contours of your feet to help improve posture and reduce harmful stresses. 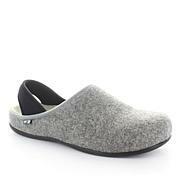 Incorporate the Copenhagen clog into your cold-weather footwear wardrobe for whole body health. 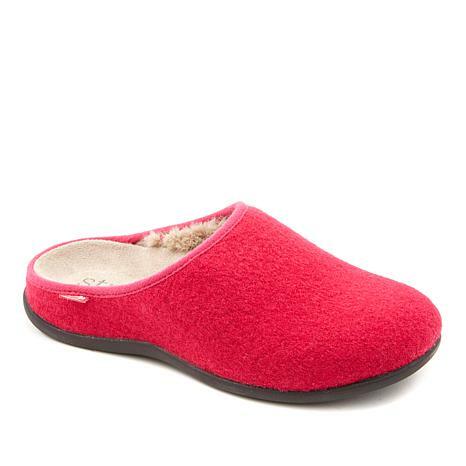 These are very supportive and comfortable, more like a shoe than a slipper even. They do run on the small side, however. I am a 7 1/2 who often has to buy an 8, so I thought these would be perfect, but they verge on feeling a little short in the toe area. But its only been 4 days and I feel they are starting to break in and give a little. I bought two pairs... the wine color and the charcoal. I love them both! They are very comfortable and attractive.